This local favourite is the place to go for authentic island cuisine, with Miss Cynthia preparing a small selection of different dishes each day. Make sure you book ahead to guarantee your space at one of the few outdoor tables, especially at breakfast when exquisite fried Mahi Mahi and Johnny cakes are served up. 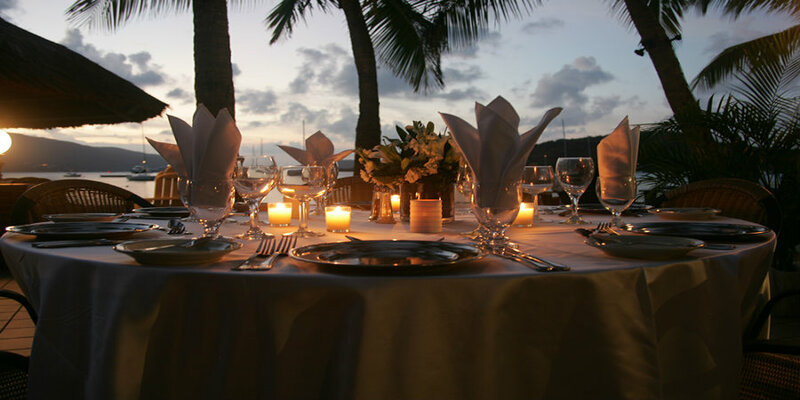 Brandywine is a formal restaurant which is known as being the best on Tortola for its excellent service and cuisine. The hillside establishment serves a selection of Mediterranean dishes with a Caribbean twist and an emphasis on fresh seafood. Guests can relax and enjoy stunning views from the open air dining area. 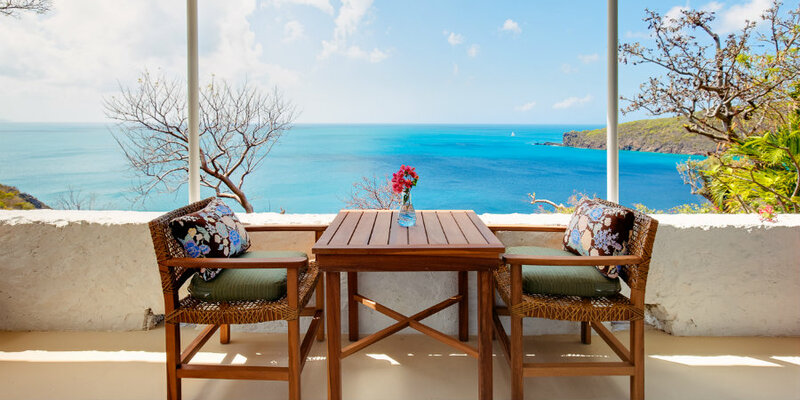 Guana Island’s restaurant serves some of the very best cuisine in the British Virgin Islands, but is only open to guests staying at the hotel. Guests can enjoy incredible dishes that are authentic yet fresh, incorporating local ingredients and fresh fruit and vegetables that are grown in Guana’s organic orchard. 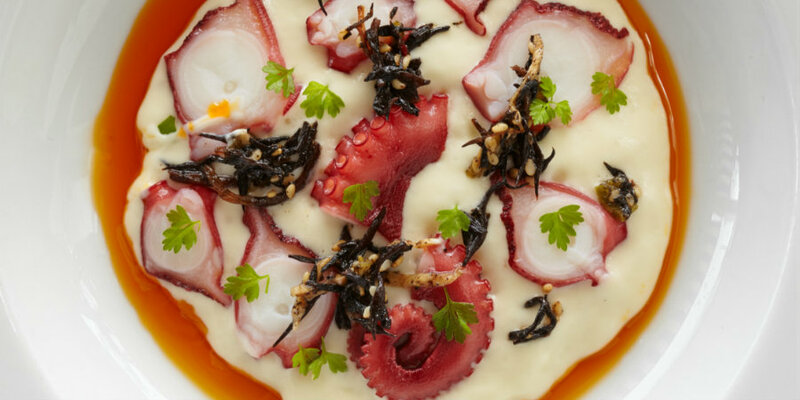 The kitchen is headed up by an executive chef who has previously worked at London’s Nobu and ZUMA restaurants as well as Michelin starred restaurants in Spain. Find out more about Guana Island. A casual restaurant which is perched on a hilltop overlooking North Sound, boasting breath taking views as far as Anegada. Here, visitors can dine on succulent barbecued pork along with fresh fish and chicken, all served with potato salad, rice and peas. The wrap-around terrace offers the perfect spot to relax with a cocktail and enjoy the panoramic views. 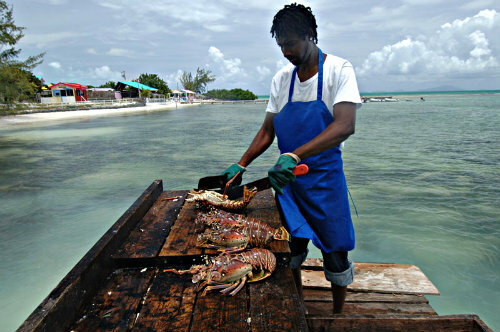 If you need a reason to take a day trip to the stunning island of Anegada, the opportunity to try the lobster lunch at The Big Bamboo is a great one. Located on the secluded Loblolly bay, the restaurant serves exquisite conch fritters, fried shrimps and freshly caught lobster which has been grilled to perfection. Enjoy the succulent and flavourful dishes just a few steps from the sea, taking in the stunning views across the bay. This beachfront bar’s claim to fame is that the British Virgin Islands’ national drink, the Painkiller, was invented here. The most fun way to arrive is by boat, from which you must swim ashore as there is no dock. Reward yourself with a rum cocktail on the white sand, then dine on outstanding conch fritters and flying fish sandwiches. You won’t want to leave! Renowned to be one of the best restaurants in the British Virgin Islands, CocoMaya is a beachside dining venue in Spanish Town. Spend an elegant evening sipping cocktails around the firepit in the sand then choose from a fantastic menu of sushi and creative fusion dishes. Outstanding service in a fantastic location. A waterside restaurant in The Moorings Marina, serving a selection of Italian dishes in elegant surroundings. Charlie’s promises a warm atmosphere, relaxed service, fantastic harbour views and cooling breezes. Find out more about The Moorings. The Clubhouse Restaurant at Bitter End Yacht Club is a popular spot for visiting yachtsmen and resort guests, offering both an a la carte and buffet menu. The waterside venue serves fresh fish on a daily basis, but the highlight is the Tuesday night Caribbean barbecue which is followed by dancing to a local reggae band. Booking is essential. Find out more about Bitter End Yacht Club. Foxy’s is a lively beach bar where the owner wanders round with a guitar singing humorous songs to entertain guests. 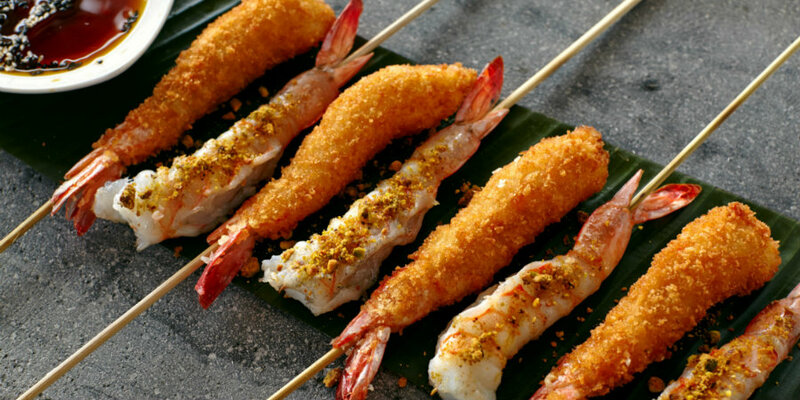 A selection of mouth-watering barbecued dishes are served along with unique cocktails that are made with the bar’s own rum, and local draft beers including one that is brewed in the bars microbrewery. For more information about The British Virgin Islands or to make an enquiry, call us on 01752 880880 or email us at [email protected].